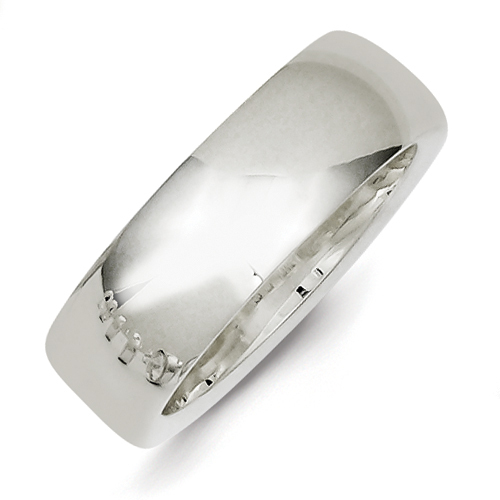 Polished sterling silver, 7mm comfort fit band. Made in the USA. Available in 4-12, whole and half finger sizes only. Size 10 ring weighs approximately 9.0 grams.